Apollo’s vision is to provide a successful working model of telemedicine, which self propagates throughout India and into the developing world. It will provide a channel for continuous access to the most sophisticated medical support systems at all times. Further, telemedicine shall improve patient care, enhance medical training, standardize clinical practice, stabilize costs and unite clinicians worldwide. Apollo aims at extending super specialist services to every remote corner across the globe by proactively using technological developments and imaging techniques to create benchmark standards in the field of medicine, health and social care. The new concept of Telemedicine bridge geographical distances and takes healthcare from the people who have it to those who don't. Apollo Telemedicine Enterprise Ltd. specializes in giving remote consultation and second opinion to remote sites where access to quality healthcare is difficult to reach. In India, 80% of the population lives in the rural areas, whereas 80% of the medical community lives in the cities. 11% of the world's population, which resides in the rural areas of India, remains devoid of quality healthcare. Reduction in the need to transfer patients to a site of medical expertise. Decrease in the reallocation of medical specialists to the patient. Better-organized and less costly healthcare. More effective and efficient use of medical and technological resources. By increasing the levels of second opinion diagnosis between medical practitioners, more deaths can be prevented. A sister concern, of the Apollo Hospitals Group was established in September 1999 and specialized in giving remote consultation and second opinion to remote sites where access to quality healthcare is difficult to reach. In Nov 2002 Apollo Telemedicine Networking Foundation (ATNF) took over the activities of ATEL. Apollo Telemedicine is the pioneer in launching the first rural Telemedicine center in the country catering to a population of 50,000 villagers. "The US Food and Drug Administration defines Telemedicine as the delivery and provision of healthcare and consultative services to individual patients and the transmission of information related to care, over distance, using telecommunications technologies. Telemedicine incorporates direct clinical, preventive, diagnostic, and therapeutic services and treatment; consultative and follow-up services; remote monitoring of patients; rehabilitative services; and patient education". Telemedicine brings healthcare within reach of population residing in medically inaccessible areas. Telemedicine allows patients to seek medical care in case of an emergency or otherwise. With this technology, they will also be able to share their medical reports - videos or radiology images to ensure an all round investigation and an accurate diagnosis is delivered. Telemedicine is also useful in getting doctors in touch with their peers to discuss complicated cases or to get specialized help remotely. Minimal patient displacement for quality treatment. Decrease in the relocation of medical specialists to the patient. Cost effective method of health care delivery. More efficient and effective use of medical and technological resources. Enhanced diagnostic and therapeutic quality of care. New possibilities for continuing education or training for isolated or rural health practitioners. Overall, Telemedicine optimizes the organization and delivery of medical and professional resources, reduces the need for patients to travel and allows local health authorities to purchase a far wider range of health care that might be possible within any one geographic region or medical infrastructure. 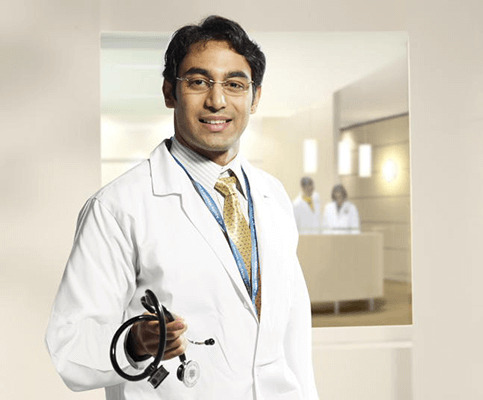 A not-for-profit organization, is a part of the Apollo Hospitals Group. It is credited with being the first to setup a Rural Telemedicine centre in 1999 in Aragonda (in Andhra Pradesh). Today, ATNF has emerged as India's single largest turnkey provider in the area of Telemedicine with over 150 telemedicine centers across the globe. ATNF works with multiple entities including the Central and State Governments, medical bodies, private and public sectors, both at a domestic and international level to popularize the concept of Telemedicine. ATNF offers customized solutions addressing telemedicine support for primary, secondary and tertiary level of healthcare. 'Medintegra WEB', the proprietary Telemedicine Application supports the platform to carry out telemedicine consultation. Apollo Hospitals provide the medical support by rendering quality healthcare through its key hospitals. ATNF adheres to all legal and patient security laws guaranteeing patient confidentiality and security of data transmitted via the telemedicine network. Security is ensured by using secure login information, encrypted databases, secure websites and identification through hardware protocols including IRIS identification, when required. In short, we enable, provide, connect and ensure quality medical care through telemedicine. Second /Special Opinion through Remote Consultation - A medical professional can get in touch with his peer or a specialist to discuss the patient treatment plans, particularly in complex cases and emergencies. Complex Interpretations - Complex medical cases often need more than one specialist's opinion to ensure accurate diagnosis. In these cases, the treating doctor at the remote site can interact with a team of specialists in another location for accurate diagnosis. Telemedicine applications such as Tele-Radiology, Tele-Pathology, Tele-Cardiology etc., help to arrive at more comprehensive treatment plan. Education/Continuous Medical Education (CME) - Tools like video conferencing systems can be used for conducting community development programs and also for imparting knowledge to the medical/ paramedical staff involved in the delivery of healthcare services. This can take shape in the form of grand-ward/rounds, preoperative rounds, clinico - pathological correlations etc. Disaster Management - In natural calamities and disasters, the telemedicine station can be utilized to coordinate relief efforts aimed at the affected population. Disease Management - The telemedicine station can be utilized to provide training in typical disease patterns in remote areas. For e.g. if a particular area's population is susceptible to a certain disease, the physician can be trained to identify the symptoms and provide accurate treatment. This training can be done both online and offline. Virtual Patient Visits - Relatives from across the globe can interact with their loved ones admitted in hospitals at remote locations. Specialists can virtually observe and interact with patients who are in isolation for various reasons (e.g. the SARS epidemic). Healthcare Knowledge Base - Telemedicine networks can be leveraged to capture and store valuable healthcare information. This information can serve as a healthcare knowledge base and/or decision support system. Tele-mentored Procedure / Surgery - In case of an emergency, where time and patient mobility is a constraint, the patient can be operated by the treating doctor with guidance from the specialist via the telemedicine network. Conducting "Community-Reach" programs in getting the message across (potable water, village sanitation, family nutrition, birth control, etc.,). Bringing the private insurance sector initiative to the rural population. Monitoring distress, epidemics & epidemiology by the state. ATNF’s flagship web-enabled Telemedicine application 'Medintegra WEB', enables doctors, nursing homes and hospitals to reach out to patients in inaccessible areas and provide interactive healthcare using modern technology and telecommunications. View diagnostic data like X-rays, CT/MRI Scans, Ultrasound images etc. Send live comments of a doctor’s to the patient. Tele-Radiology - transferring digitized medical images like X-rays, MRIs and CT scans from one location to another for diagnostic reports. Tele-Dermatology - exchanging digital images of skin for interpretation. Tele-Pathology - sharing microscopic images with pathologists sitting in diverse locations for instant reports. Tele-Cardiology - transferring data from modalities such as ECG, Echo Cardiogram for expert opinion. An excellent solution for providing critical care to patients located in remote areas with basic healthcare facilities. Patients' vital parameters can be monitored from specialty care hospitals and timely alerts and appropriate treatment plans can be sent thus equipping the secondary care hospital with quality ICU/Critical care. A life saving solution in cases where patients need to be transferred over long distances to reach the nearest hospital. The vital signs of the patient can be monitored by a team of specialists and valuable as well as timely healthcare can be provided even before the patient reaches the hospital. A solution aimed at providing healthcare where hospitals are unavailable. Using a telemedicine van, videoconferencing and satellite communication, medical care is provided to people in remote areas. It also acts as a life saver providing timely health aid in times of large scale disaster or natural calamities. A web based solution enabling healthcare professionals to access a patient's medical information anywhere and anytime. The entire medical record is available to the concerned medical professional for interpretation and planning the course of treatment. This makes it a very time effective as well as cost effective way of making informed medical decisions for a patient.